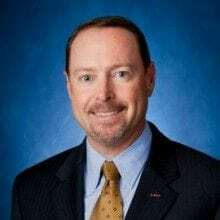 John Hillen, Sotera President and Chief Executive Officer, has been elected Chairman of the Board of the Professional Services Council (PSC) through October 2013. The PSC, with its nearly 350 member companies, is the national trade association of the federal government’s professional and technical services industry. The PSC Board of Directors is responsible for policy oversight and setting the direction of the association. Hillen recently spoke at the Greater Washington Board of Trade on the “bad governance” of sequestration. Read Hillen’s 2012 outlook for the government contracting industry here.